This new 4,500-square-foot villa provides contemporary furnishings while overlooking miles of the Caribbean Sea, sandy beach, and natural terrain. 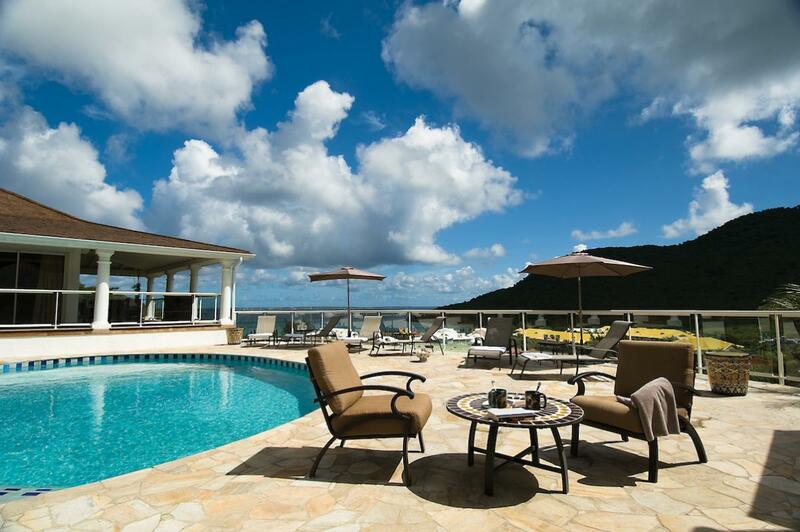 Families will enjoy the five bedrooms and gourmet kitchen allowing for family huddles before breaking away to Anse Marcel Beach for a day of fun in the sun. Take pleasure in the terrace and private pool that will embrace you as you watch the sun come up. Del Mar Villa is only minutes from dining and retail experiences. Your family will feel protected within the gated community and will appreciate the home security system as well. A brand new, five-bedroom home in the locale of Anse Marcel, commanding views over the bay and marina, Del Mar Villa has a contemporary decor with a retro touch. There are five bedrooms, each with an en-suite designer bathroom, walk-in closet, and flat-screen TV and DVD. Ideal for families, the villa has 4 of the 5 bedrooms that are accessible from the main house and one of these bedrooms has a special decor that the kids will love. The sizeable living area is very comfortable and well-equipped, opening onto an extensive terrace with a large pool and lounging area perfect for enjoying the view. Del Mar Villa is just a 5-minute walk from the beach at Anse Marcel and is within easy reach (15-minute drive) of Grand Case and popular Orient Bay. Anse Marcel is 5 minutes walking distance from the villa. Good for stays from Apr 13, 2019 to Dec 15, 2019.